Team Prima Racing returned to the endurance racing arena with a chip on its shoulder. 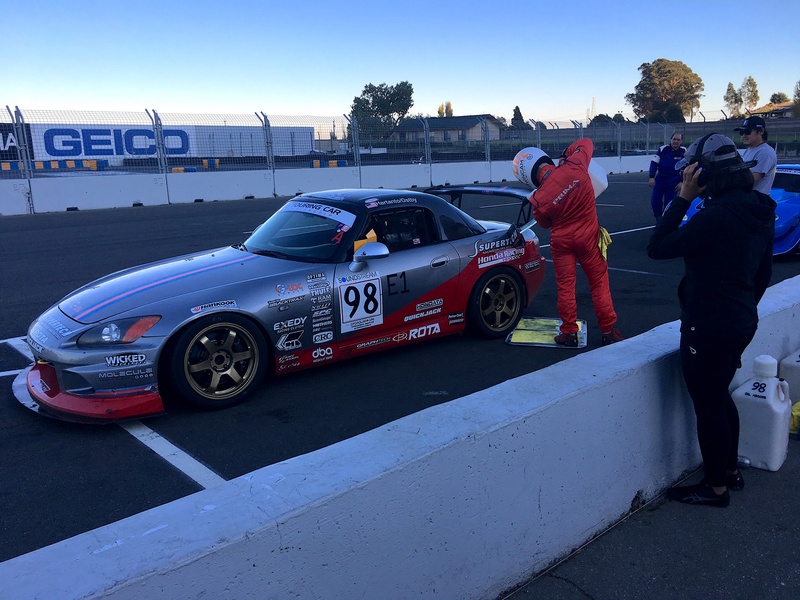 Following the team’s third place podium debut with their Honda S2000 in the E1 Class, the team was eager to improve on its performance by ironing out a number of small shortcomings at the NASA WERC 3.5 Hour race at Sonoma Raceway. While the team’s performance was encouraging, there was still much to be desired with the overall execution. “We lost time in the pits, we lost time with a sensor issue that cut out power and I think our opening stint was okay, but could have been better,” Team Principal and Lead Driver, Andrie Hartanto explained. 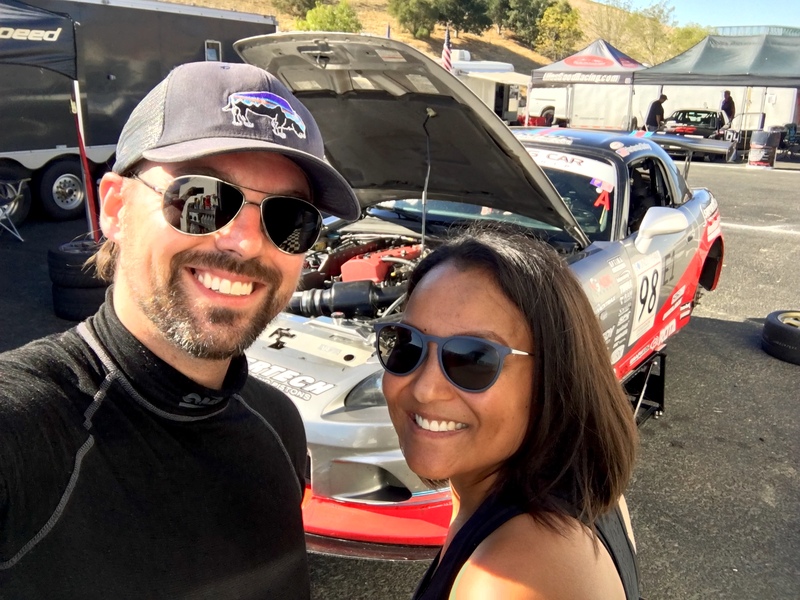 “Buttonwillow was only my second race and my first endurance race. It was a bit overwhelming and I squandered our pole position as soon as the green flag had dropped. I drove far too conservatively, and while I kept the car intact, I was far too timid at the start. I handed over the car to Andrie with a big disadvantage, and the miscommunication during our first pit stop didn’t help our chances. I’m confident that we can build on our last performance and I’m eager to get a bit of redemption for the team,” Michael Ostby, the team’s development driver admitted. 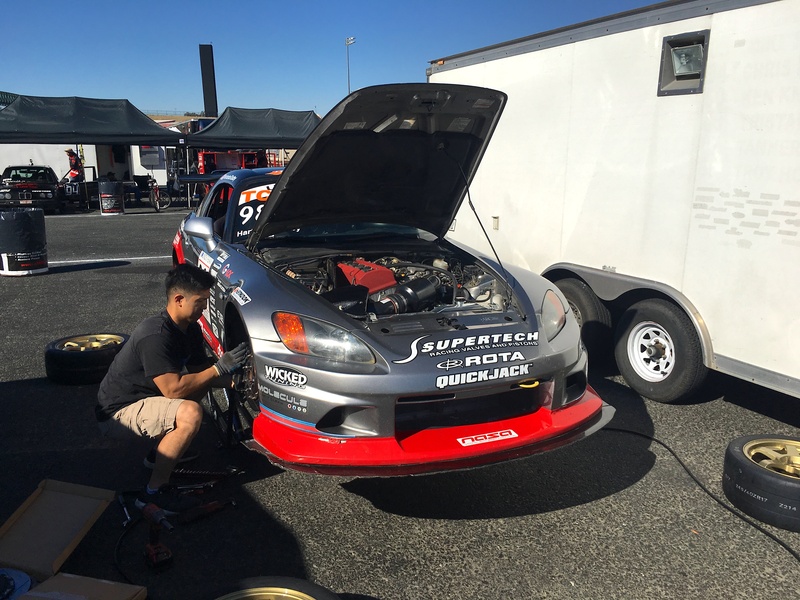 The team had put in work prior to the race, identifying and replacing the faulty sensor after rigorous long-stint testing during a Speed SF weekend at Sonoma. The testing served a dual purpose in both eliminating the issue contributing to the intermittent power failures and getting Ostby more comfortable in driving. “Mike has been able to show single-lap pace, but we really needed to work on his overall extended pace and his race pace in general. 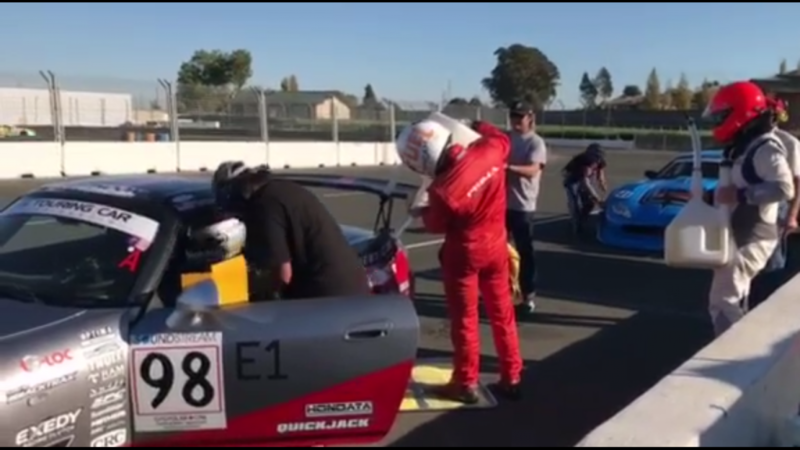 He had never had much seat time at Sonoma, so we put him in the car for nearly four hours to get him in better shape for some extended running. It was also important to pick up his overall speed on race rubber, which he hasn’t had much experience with. We’ve really worked on dialing in his braking and throttle application and he’s showing improvement,” Hartanto indicated. With Hartanto fully engaged in coaching duties for the morning of race day, it was up to Ostby to set the pace in qualifying. 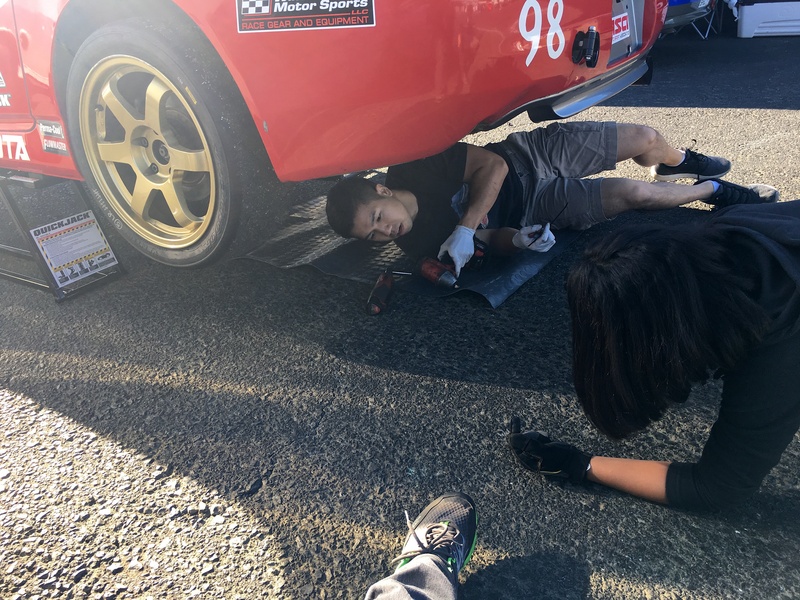 After a few tweaks and some setup work to the car by crewmembers James Tam, Lee-Anne Ostby and Julie Hadi, the car was ready to take to the track. Ostby struggled in traffic and since WERC qualifying was intermingled with NASA’s regular points-paying race for Group C he was relegated to moving aside for on-track battles during the qualifying session. Fortunately for the team, Ostby remained on track for the entire session and was able to put in a fast lap at the very end of the session, qualifying nearly a mere 0.038seconds faster to take the E1 Class pole. The team would start 19th out of 41 entries. Hartanto laid out the race strategy, with Ostby starting the race, running a double-stint. Hartanto would then anchor the team’s efforts for the final hour of the 3.5-hour race. Unlike the last WERC race start in which Ostby was immediately overtaken by the entire E1 field, he managed to get a strong start, working his way into the E0 class while preserving the inside line. “Unfortunately, there was a lot of activity immediately ahead and I had to check up right at the inside of Turn Two. I was squeezed to the inside by an E0 car and had nowhere to go. I knew it was a long race, so I kept cool, but I was out of position at nearly every corner and we dropped into last place of the E1 Class by the time we had reached start/finish,” Ostby explained, describing the race start and opening lap. Not to be deterred, Ostby pushed hard, working his way back up the field, overtaking cars while maintaining a relatively consistent pace. He regained all of the positions lost and began to build a strong margin between Team Prima Racing and the rest of the E1 field. “I really just wanted to put together a solid stint. I wasn’t concerned with position as much as I was with hitting my marks and working past cars efficiently. Let’s face it, Andrie is the rock of this team and I knew that as long as I didn’t make any egregious mistakes, we’d always stand a fighting chance. I wasn’t trying to overdo it either, as I was still battling the tail end of the flu,” Ostby admitted. Unfortunately, Ostby’s lack of fitness and illness settled in a little after the hour mark. With Lee-Anne Ostby on the pit wall radioing in to inquire on his condition, Ostby remarked that he was thirsty and could probably manage another thirty minutes, but had his doubts about running another full hour. 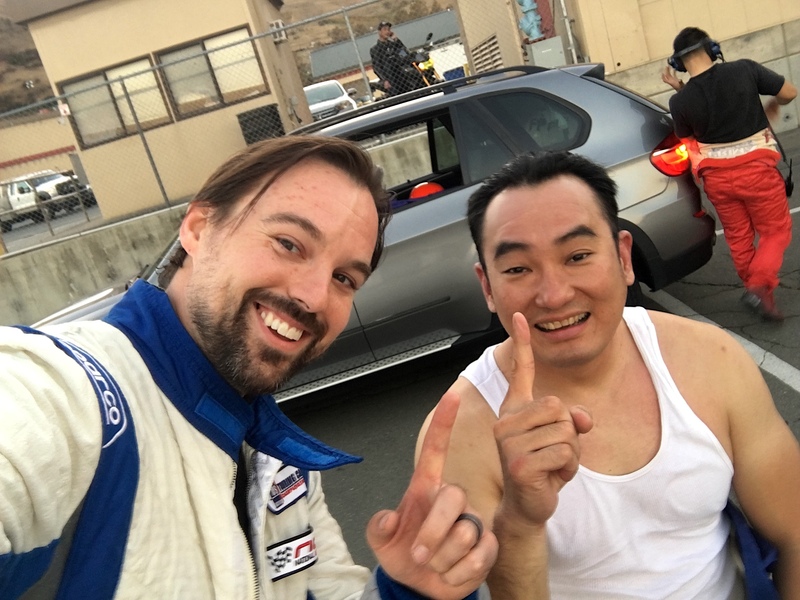 Despite the plan of having the rookie driver pull a double-stint, Hartanto quickly donned his racing suit and made the call to switch strategy. “We needed Mike to put in two hours to hit our fueling strategy. When he indicated that he was thirsty and had doubts about going the distance, we couldn’t risk him making a mistake out there and we had to shift our planning,” Hartanto explained. With a few laps remaining in his stint, Ostby finally inquired about the team’s running order relative to the rest of the field. “When I radioed in to Lee-Anne, I was pretty sure I had seen a few familiar cars, but I didn’t want to make any major assumptions. When she responded that we had lapped every car but one in the E1 field, it was the encouragement that I needed,” Ostby remarked. On lap 39, Ostby pulled into the pits with the lead, running ninth overall and Hartanto took over, with Lee-Anne Ostby assisting the driver change while James Tam perfectly executed the refueling. Following the pit stop, the team dropped to eleventh overall and second place in the E1 field. Despite having zero seat time in the S2000 in weeks, Hartanto wasted no time in immediately getting up to speed. Within a handful of laps, Hartanto had vaulted the team back into the top spot of the E1 field. He didn’t stop there, however; by the end of his first stint on Lap 78, Hartanto had Team Prima Racing’s E1 S2000 entry running in the sixth position overall and had nearly double-lapped the entire E1 field. “The car felt good, I was feeling great and we didn’t have any power issues and everything was clicking well. We were able to maintain a very smooth pace without having to run the car ragged,” Hartanto stated, reflecting on his first stint. After taking on another full load of fuel and a thorough cleaning of the windshield, Hartanto resumed his attack on the field, running for a second consecutive hour on track. By lap 97, Hartanto worked his way back up to seventh overall spot in overall field. It was at this point in the race that the team encountered it’s first problem and a brief wave of concern hit the team on the pit wall. Nevertheless, Team Prima Racing had indeed lost fourth gear, forcing Hartanto to shift between third and fifth gear. Hartanto drove more conservatively, doing everything to preserve the car in order to finish the race. 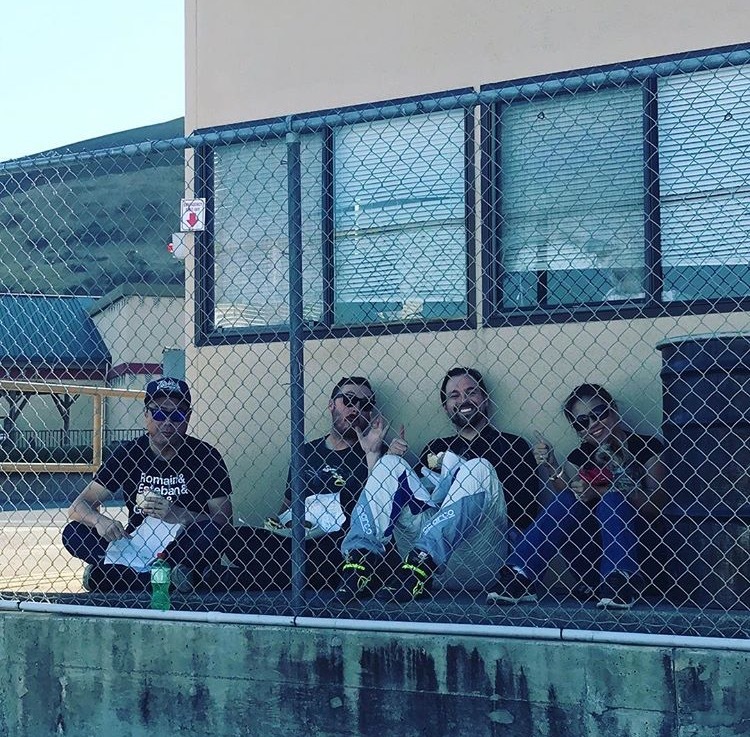 The team and friends sat anxiously on the pit wall, nervously counting down the minutes as Hartanto piloted the wounded S2000 around Sonoma Raceway’s technical layout as dusk settled in. While the last ten laps were run at a reduced pace, the team maintained its commanding lead on the field. By the time the checkered flag was flown, the team had finished over a lap up on its next closest E1 Class competitor, finishing an impressive ninth overall, completing 106 laps in the 3.5 hour ordeal. 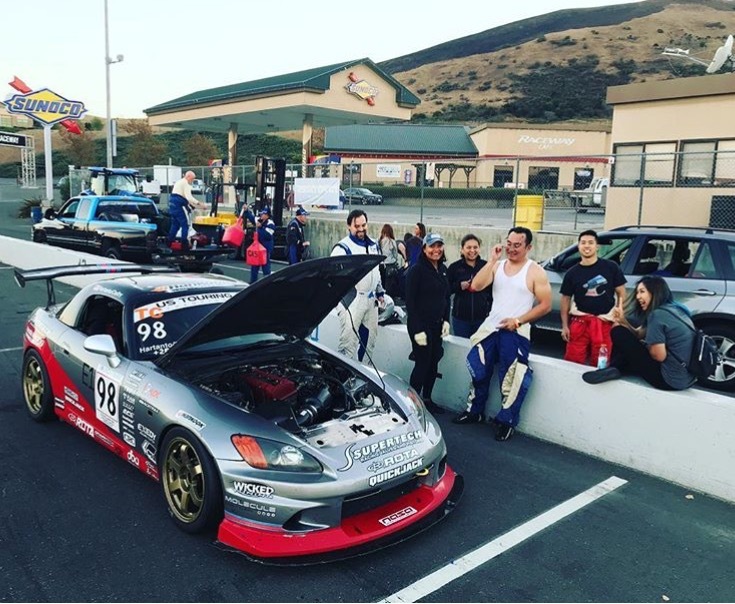 “Nearly every S2000 I have ever driven has lost fourth gear at one point or another, so it was somewhat inevitable given that this car had seen a ton of track mileage before we had even picked it up. If it were to happen anywhere, I’m glad that it happened under these conditions as opposed to a sprint race,” Hartanto admitted. “Andrie did such a fantastic job and he carried the team once again. His double stint was impressive, especially holding on to such a strong lead despite losing a pretty crucial gear around this track. Watching him run consistently for two hours straight was a real inspiration and I couldn’t have a better mentor and teammate,” Ostby remarked. 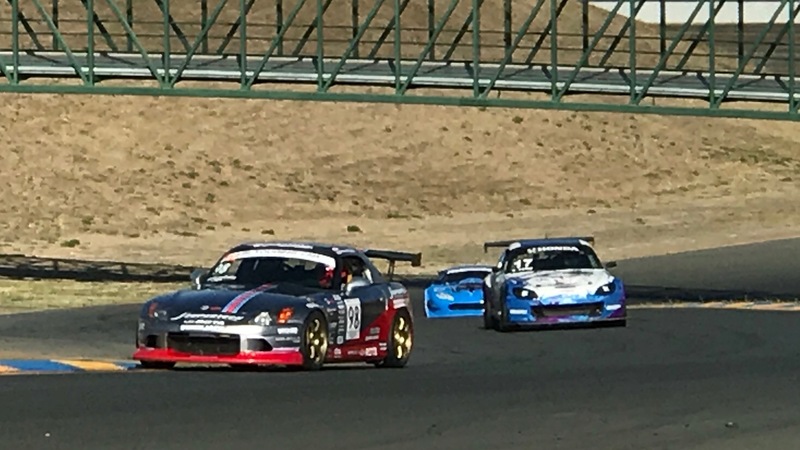 The victory marked Team Prima Racing’s first endurance win with their current Honda S2000 and also marked Ostby’s first race win in only his third attempt. “It was a really strong team effort leading up to the race. We made sure we had the car well prepared and we put in a lot of work on improving Mike’s skillset, too. The hard work has paid off. While it would have been nice if he was able to pull out the double-stint, I was impressed with his consistency and pace and he really pulled out a strong lead, which made my job a lot easier,” Hartanto commented after the race. “It was nice to make a real positive contribution this time around. We’re definitely making progress, but there’s much more work to be done,” Ostby admitted. Prima Racing will close out its 2017 campaign with a return to the USTCC finale; a back-to-back, two race double header November 11-12 at Thunderhill Raceway. The team holds the lead in the championship points standings in the TC Class, but isn’t without its challenges, as three other teams stand within striking distance of winning the championship. With everything to play at stake, the team will need to pull out two strong finishes in order to capture the top spot at the end of the season. Prima Racing would like to thank its sponsors for the 2017 season; Supertech Performance,QuickJack Portable Jacks, Rota Wheels, G-LOC Brakes, CT Engineering, Hondata, Exedy USA, Wicked Tuning, BlackTrax Performance and Graphtech. Prima Racing would like to also say thanks to Joe Chang, Geoff Pitts, Lin Jiang and King Tang for the extra trackside support and photos.